As a Dubai Food Festival Gourmet Trail Guide, I was asked to select four of my favorite restaurants in five different categories. 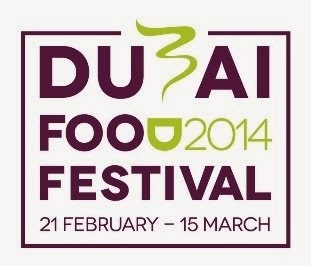 This actually proved to be a difficult task, as I have had so many wonderful dining experiences in Dubai. Here are the top four in Around the World. Insiders Tips: Always check the specials for the day before ordering. Baker and Spice has been a favorite ever since moving to the UAE in Aug 2010. There humble approach to good food is always executed to perfection. The menu is not only creative, but elegantly simple. The culinary masterminds behind this concept not only make it their mission to provide the finest produce on the market, but make the effort to maintain the level of sustainability is environmentally acceptable. The fresh salad bar is a great lunch time option, with a plate consisting of a selection of four along with an order of one of the healthy soups, this guilt-free meal is delicious and satisfying. The bread is also made from scratch using the best technique and equipment on the market. If a tasty breakfast in on the weekend’s agenda, then Baker and Spice has the best menu to indulge in. From the heavenly blueberry pancakes to garlicky goodness of the shakshouka, there are options to appeal to a variety of taste buds. The fresh baked goods such as pastry and croissant are also to die for. One that made a mark in particular was the date and tahini Danish. Only available on occasion, if you come across this one on display in the store, make sure you take them home for your family and loved ones, they will truly appreciate it! Insiders Tips: Make sure you call ahead, the restaurant is always packed. A Korean BBQ in the heart of Deira was the last place I thought I would find mouth watering cuisine, but this place sure enough delivered one of the most memorable meals I’ve had in Dubai. This restaurant was actually recommended to me by the most famous Korean in the Middle East, Mr.Wonho Chung, so it actually kind of made sense. The restaurant is a bit tucked away on level three, tower 2 of Al Ghurair center, so it can a be a bit tricky to find. Upon arrival you are greeted by oversized fish tanks containing enormous live hamour and the friendly hostess, who checks you in and asks you to wait kindly as the table is being set-up. Shogun is a small restaurant with some private dining facilities, but if you plan on enjoying the Korean BBQ, ask for grill table. An indoor BBQ can only mean one thing, other than incredibly tasty food, SMOKE! This meal could be considered a long term commitment, as the smell absorbs into anything with in the vicinity including handbags and shoes. But nonetheless, it’s a small sacrifice to make for a meat that’s so tender it falls right off the bone and so heavily marinated, each morsel takes your senses on a culinary journey. The standing order at any Korean style restaurant would be the Bulgogi, Kimchi, and Bibimbap. The same goes for Shogun, these dishes are not to be missed, and will make you a regular at this ethnic eatery. Bulgogi is listed as the 23rd (out of 50) most delicious foods in the world according to CNN Go in 2011, and I couldn’t agree more. The Kimchi is a popular spicy/sour fermented vegetable, the foundation for Korean stews, soups rice dishes and more. Commonly enjoyed as a condiment or a snack in between courses Kimchi packs a punch with a unique flavor overload. The elegant dining experience at Thiptara made this gorgeous Thai venue a landmark on Dubai’s culinary map. Located at The Palace hotel, Thiptara’s dining room is surrounded by floor to ceiling windows with a state of the art sound system syncing it to the music of the dancing fountains just outside. Whether you enjoy your dinner on the terrace, at the chef’s table in the kitchen, or in the cozy yet elegant dining space, you won’t be disappointed as every seat in this restaurant accommodates each guest with gorgeous views. In addition to the romantic setting, the efficient staff was gracious in their style of service. Friendly and thorough, they made sure the experience was top notch from beginning to end in the spirit of true Thai style hospitality. In addition to the incredibly comfortable aesthetic, the food was also spectacular. The pomelo salad is something I have grown to love, and Thiptara does a fine shop of balancing the acid from the pomelo with crunchy pits of sweet coconut, savory onion, and salty mince prawns and chicken. This salad is extremely well balanced and a powerful way to begin a classic Thai meal. Listed on the menu were a couple of items that really caught my eye, and this next dish was one of them. The Ped Nam Ma Kam was the highlight of this meal. Pretty much anything with duck is usually a winner in my book, but the execution and creativity here were second to none. The BBQ duck breast smothered with a tamarind sauce was cooked to perfection at a medium temperature. The crispy skin on the outer edges of the sliced breast meat is what you expect from a seasoned chef, but the presentation on a giant onion ring is what made this dish really stand apart. Rounded out flavors consisting of the sour tamarind, sweet duck, and savory onion ring is mouth watering and memorable. Menu Top Tip: Gola kebabs, stuffed naan, afghani rosh and mutton karhai. Not forgetting the bread, which is buttery, chewy and bursting with flavour – DIVINE! Walls clad with Pakistani Truck Art and the smell of spice circling the air, BBQ Delights is aesthetically pleasing and aromatically appetizing! Upon entering this grand operation in the heart of Dubai on Emaar Boulevard I noticed the large silver chafing dishes lined up towards the back. This concept and many other Pakistani restaurants are set-up with permanent buffet stations based on cultural demands of "value for money" dining. I am not particularly fond of this style of eating, but I understand the need to please the clientele. It's one of the best selling points for the South Asian diasporas. It makes sense as meal times in many countries of the subcontinent are multi-course productions. This buffet serves numerous items that range from starters to grills, mains to desserts and there is no skimping on quality here. It's cost efficient for family style dining and consists of several palate pleasing choices. They do offer a la carte options as well, which I was happy to see. The first item to arrive at the table was the beef Gola Kebab. The cute round shape and petite form of these kebabs made them extremely moist and full of flavor. The uniqueness of the Gola Kebab comes from the mace/nutmeg used in the dish. It gives it a sweeter and more delicate touch as opposed to the more savory seekh kebab readily available on other Pakistani menus. Next up was the Grilled Green Fish. The green color comes from the marinade consisting of everything from green chili, mint, cilantro (coriander), and green bell peppers (capsicums). There is also a medley of spices in this marinade including the key ingredient, Ajwain/carom seed, a pungent spice, which resembles a seed, but smells similar to thyme. Often used in seafood dishes in many South Asian countries, this distinct ingredient really stands out and compliments the natural sweetness of the fish. To complement our grilled items, we were also presented with another house favorite, stuffed naan. There were two varieties served to us, one with a savory potato filling the other with mince chicken. I opted for the potato since we were already very protein heavy at the table. Buttery, chewy and bursting with flavor, the bread was absolutely DIVINE! Ankita Khanna Independent Indian Escorts In Dubai Provide In Call and Out Call Services at Home and Hotel For Booking Call +971-521873603. at the time at the same time as you are with a right babe of your desire, you may make your night time time time mainly for you. she can consist of nicely dressed get dressed, appealing underclothes, and with some quick of make up to show properly. vip doha escorts that is how they will become stunning and you get excited to touch them. Dubai is considered the best place for entertainment and for business purposes. Everyone in the world wants to visit Dubai and spend their holidays in Dubai. It is true that Dubai never sleeps. Dubai is the best place for business and almost all business people work in Dubai. Beautiful and attractive views, beautiful and attractive girls in Dubai, big and tall buildings and the lifestyle of Dubai always attract people from all over the world. It is developing day by day and attracts people to invest their money in Dubai. Dubai attracts many investors and they like to invest their money here.